Deliver five-star customer service, increase customer satisfaction. Adding additional communication channel for website visitors. Revenue increased by 30% and customer happiness by 11%. Being a customer service expert means that you must set a good example. You need to make sure that all your customers are treated with understanding and empathy. You need to solve their problems in the short run. But not only that, you also have to listen to them and fill their needs as soon as possible. Touch Support understood that their customer service was their business card. Although their customer happiness was already high, they decided to give it a try and open additional channel of communication so their customers could reach them straight away. It quickly turned out that the results exceeded their expectations. Touch Support helps organizations to improve the management and performance of their support department. The company is focused on constant improvement of its customer service, so adding an additional communication channel for their customers seemed like a natural move. The company has chosen LiveChat for a couple of reasons. They loved the fact that their customers can get in touch with them immediately, with a single click on a chat icon. Another decisive factor was that thanks to real-time chat they could reduce phone call volume. Live chat also let them capture potential leads on their website and allowed them to stand out from their competitors, who were still using telephones and emails. 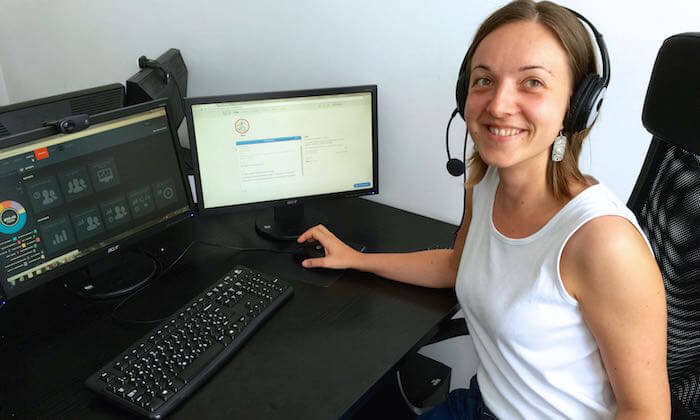 Touch Support chose LiveChat’s software for its unique interface and ease of use. “We think it’s the best looking chat platform on the market,” said Brent. They also liked that LiveChat’s application can be used on desktop, website and mobile phone. Implementation turned out to be quick and easy. 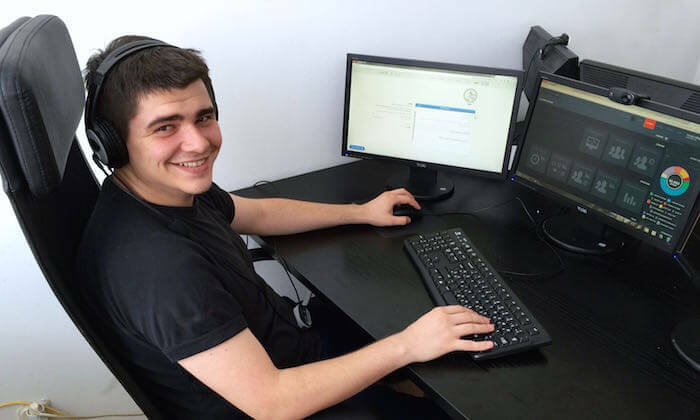 “We were able to get up and running on the LiveChat platform within a matter of hours,” said Brent. “Our team was pleasantly surprised at the ease of implementing visitor tracking and live chat code on our website,” he added. Touch Support has seven operator seats which are used by 57 agents working from three offices around the globe and handles over 13,000 chats each month. They admit that they could not have done that without LiveChat. Company’s reps are able to quickly address customers’ problems thanks to the message sneak-peek. Being able to see what a customer is typing in real-time allows them to respond quickly, but is also an important part of understanding customer’s thinking process. To get further insight into customer’s reasoning, Touch Support’s developers use data from API reports. As they have built their own Business Intelligence platform on top of it, they are able to measure customer satisfaction and give their customers detailed recommendations on ways to improve the customer experience. Customer satisfaction is also a point of interest for Touch Support’s management. They love chat ratings and ability to add rate comments because now they always know what makes their customer happy and what bothers them. “We’re able to quickly identify rockstars within our organization as well as target areas of improvement based on customer satisfaction reports,” said Brent. Touch Support can be reached by their customers even on rare occasions when LiveChat reps are unavailable. Thanks to after-hours form, customers can leave a message, which quickly reaches the customer support team. Thanks to this the company does not miss any opportunities and is able to respond to every inquiry. Before implementing LiveChat, Touch Support already had a pretty high average customer satisfaction score of 84 percent. After the implementation, it bumped up by 11 percent! 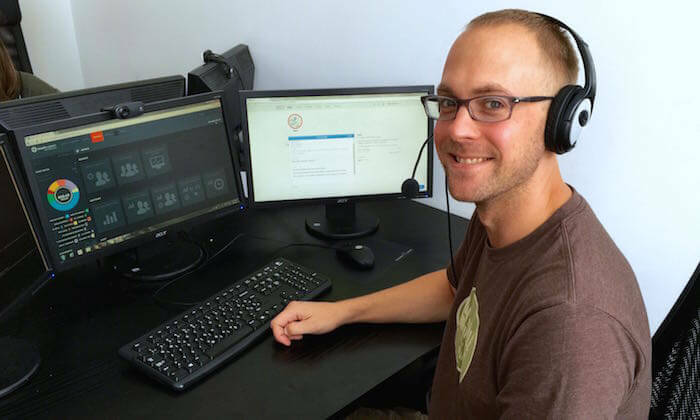 “Our live chat customer satisfaction rating this past month was 95 percent!”, said Brent. High customer satisfaction has direct relationship with their sales. “So far in 2015, 24 percent of our new customers initially contact our team via live chat, what translates into over 30 percent of our expected revenue”, stated Brent. LiveChat also helped to save countless hours on support interactions. On average, Touch Support technicians resolve issues within 34 minutes through their helpdesk. Customers that reach them via chat typically have their issue resolved in 9 minutes or less, nearly four times faster than before! Touch Support is very satisfied with the results of LiveChat implementation. In a short time they managed to increase their customer happiness and revenue at the same time. Ease of use and useful features are also the reason why the company recommends LiveChat to its customers. Touch Support is a strategic partner that helps companies benefit from customer experience management. The company designs, builds, manages, scales and improves highly effective enterprise support delivery. Phone stops being the most popular form of contact after chat is introrduced.